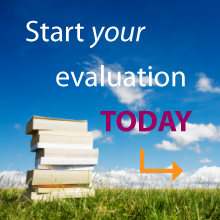 International Evaluation Service Center for Applied Research, Evaluation, and Education, Inc. Since 1980, International Evaluation Services of the Center for Applied Research, Evaluation and Education, Inc. (IESCAREE) has provided quality evaluation and verification of foreign educational documents for thousands of internationally educated professionals from more than 95 countries around the world. An IESCAREE credential evaluation report can help an individual with foreign academic background/credentials to gain access to higher education, employment, or professional certification in the United States. It can also be used to fulfil the requirements of the United States Immigration and Naturalization Service. IESCAREE has been evaluating academic credentials from many major countries such as but not limited to China, Canada, England, Egypt, Germany, Hungary, India, Iran, Japan, Korea, Mexico, Nigeria, Pakistan, Philippines, Taiwan, Vietnam, Russia and the Independent Baltic States. The knowledgeable staff at IESCAREE have expertise in many different professions including, but not limited to, Architecture, Business (Accounting), Engineering, Education, Law, Medicine, Dentistry, Pharmacy, Allied Health Sciences (Nursing, Medical/Radiologic Technology, Physical/Respiratory Therapy). IESCAREE is a Charter Member of The National Association of Credential Evaluation Services (NACES) and has been on the approval list of many academic institutions, employers, government agencies and licensing boards. The Center’s recommended ranges of U.S. equivalencies are based on the general guidelines set forth by the U.S. National Council on the Evaluation of Foreign Academic Credentials. Contact us today and let us facilitate your success in the United States of America.